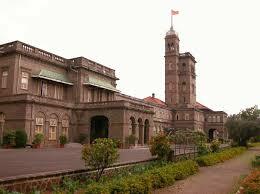 PUNE: Facing criticism over preconditions that only vegetarian and teetotaller students will be eligible for a gold medal given by a trust, a Pune university today said it has suspended the award instituted in the name of Yog Maharshi Ramchandra Gopal Shelar. Nitin Karmalkar, the vice-chancellor of Savitribai Phule Pune University (SPPU), said talks will be held with family members of the Yog Maharshi, who is known as Shelar Mama, over the possibility of removing the "vegetarian only" condition. He said the university will review the eligibility criterion for about 40 medals and awards sponsored by different people and organisations and given during the university's convocation. The university had in a circular informed affiliated colleges and departments about the award instituted in the name of Shelar Mama for meritorious post-graduate students from the non-science streams for the academic year 2016-17. One of the 10 eligibility conditions that the student should be a "vegetarian and teetotaller" invited sharp criticism from various quarters. Denouncing the criterion, Yuva Sena leader Aaditya Thackeray had wondered if it was a university or a restaurant. Following the controversy, the university had withdrawn the circular from its website. Talking to reporters here, Karmalkar said, "We have decided to suspend the award. We will have a discussion with family members of late Yog Maharshi Shelar Mama to remove the condition." Asked if family members and the trust of Shelar Mama did not agree to remove the condition for the award, he said the university has the right to scrap it. The VC said the terms and conditions were drafted by the family of Shelar Mama in 2006. "The management council agreed to the terms and conditions and the medal was launched," he said. He reiterated the varsity does not differentiate between students on the basis of their food habits. "In fact, it promotes equality and we believe that students have freedom to eat whatever they want," he said. The VC said the university will review in detail the terms and conditions of around 40 awards and medals, instituted in the name of various people, to remove any controversial criteria. Meanwhile, Maharashtra Education Minister Vinod Tawde said all universities in the state should respect the Constitution while setting the criterion for scholarships and medals. No criteria should create disparity among students. Universities are also directed not to accept such conditions or criterion from the sponsors of scholarships and medals, the minister said.